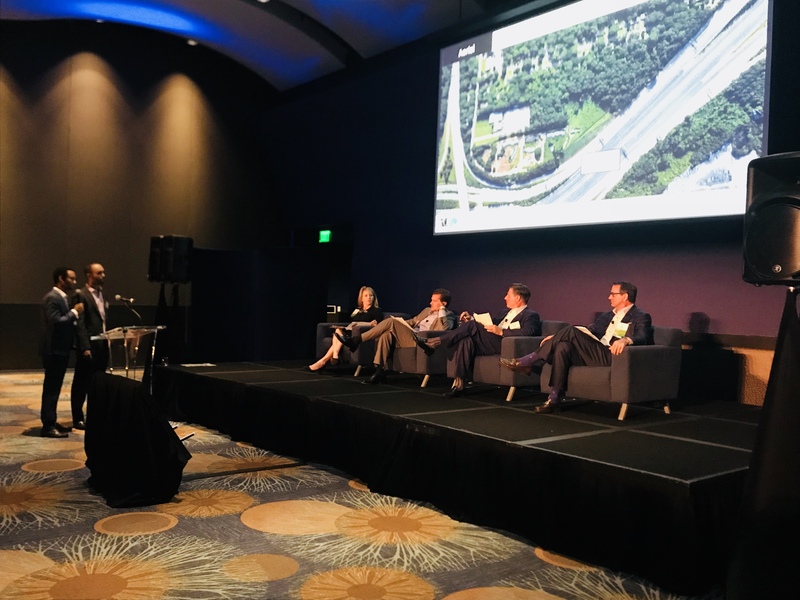 Lance Patterson was featured as one of four “Sharks” at ULI Atlanta’s Shark Tank event last night at the Georgia Aquarium. Patterson Real Estate Advisory Group is pleased to announce the opening of its newest office location in Charlotte, NC, and to welcome Drew Barnette who will serve as Director of that office. The attached press release contains further details. Third and Urban and Westbridge Partners, two development firms responsible for some of the most successful adaptive re-use and creative infill projects in Atlanta, are joining forces. The attached press release details the new venture, and includes comments from Patterson CEO, Lance Patterson. 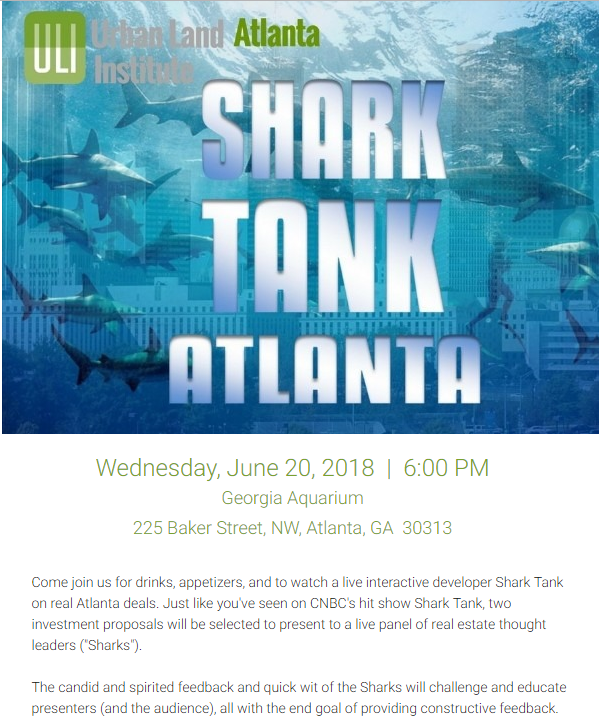 Patterson CEO, Lance Patterson, will be featured as one of four “Sharks” at ULI Atlanta’s upcoming Shark Tank event at the Georgia Aquarium on June 20, 2018. 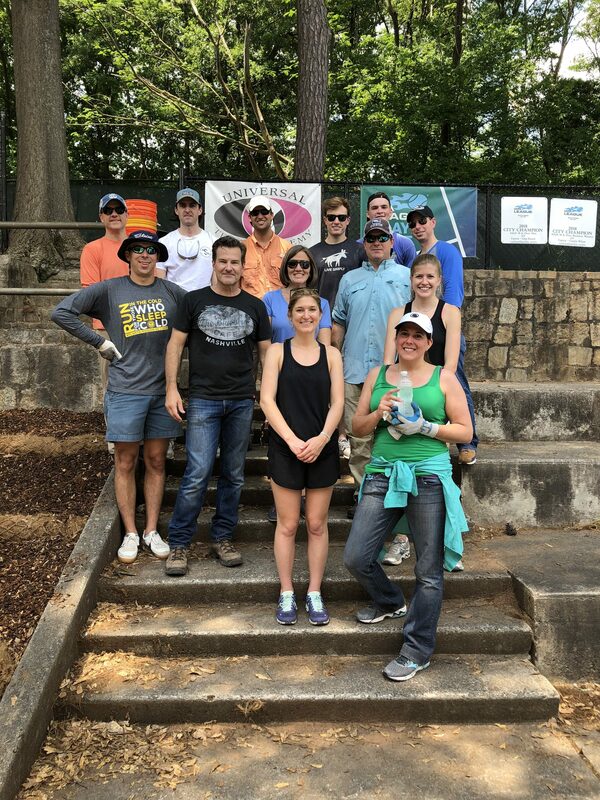 On May 10, 2018, a team of Patterson employees spent the day cleaning up a section of the Washington Park Tennis Center in historic Washington Park (northwest Atlanta). The work primarily involved debris clearing, erosion control and mulching. Washington Park is one of 45 neighborhoods connected by the Atlanta BeltLine. 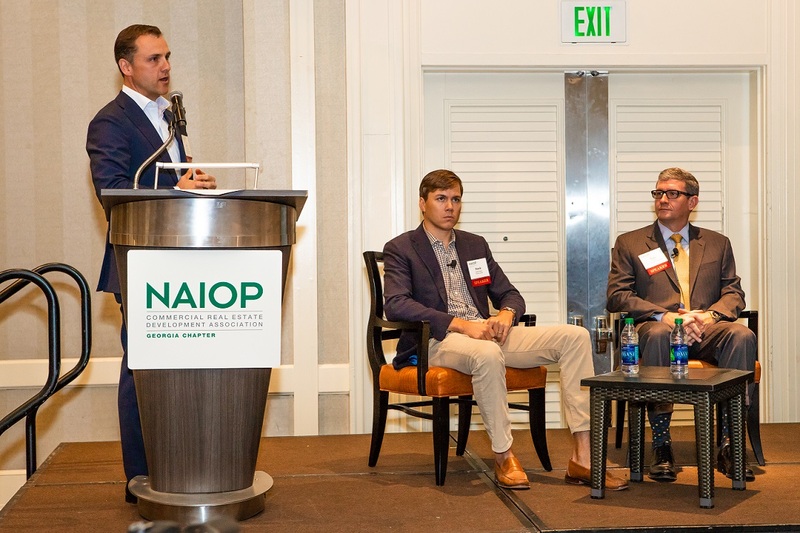 Bill Mealor, Managing Director of Patterson Real Estate Advisory Group, moderated the 2018 NAIOP Georgia School Challenge on April 12, 2018 as graduate students from four Georgia universities (Emory, Georgia State, Georgia Tech and University of Georgia) competed to solve a real life commercial real estate case study. Since 2012, Patterson has served as a capital advisor on the Magnolia project for Branch, Pope & Land and WestRock. Most recently, Patterson led the sales effort for the partnership with the sale of the assets closing in March of 2018. ULI Nashville NEXT is an initiative aimed to identify, connect and elevate the next generation of leaders from mid-career professionals age 35 to (approximately) 45 years. The program officially kicked-off on April 5, 2018, with an inaugural social event that included a brief overview of the program, along with its goals, structure, participants, content, programming and benefits. Weaver Capital Partners, the Seng Company and SilverCap Partners closed on the acquisition of a 515,000 sf industrial portfolio in the highly desirable West Midtown submarket of Atlanta late last week. Patterson arranged acquisition debt financing with CIBC Bank USA. One Museum Peachtree, LLC and Patterson announced the closing of a new loan for One Musuem Place today. The property is a for-sale, luxury residential project in Midtown Atlanta. Patterson arranged for short-term financing with Synovus Financial Corp.